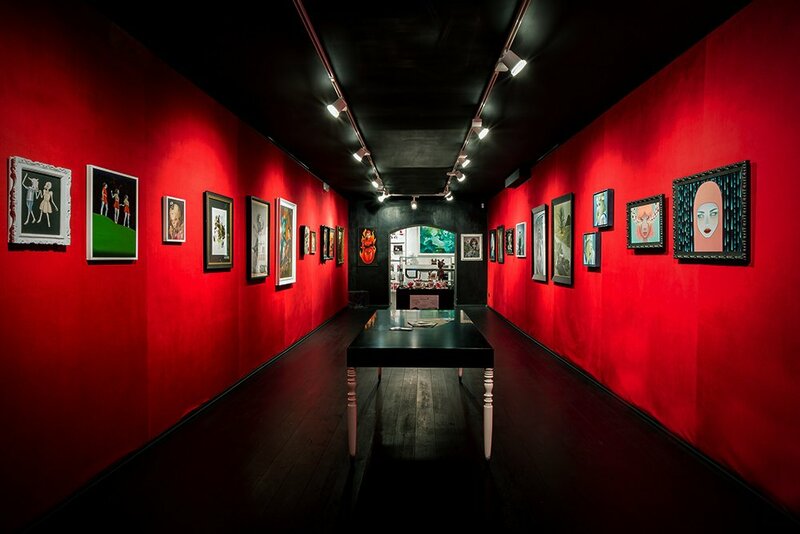 Dorothy Circus Gallery is a space dedicated to the most intriguing avant-guardes of contemporary Art. Opened in Rome in 2007 and in Notting Hill, London, in 2017, the Gallery has put a spotlight on the prime movers and forerunners of the fascinating USA-born movement known as Pop Surrealism, bringing on stage its major Artists and contributing to the introduction and showcase of New Surrealism from the contemporary Asian art scene, while always committing to discover and promote exceptionally talented artists worldwide from the New Figurative Art scene and Street Art. Always anticipating market trends and interests in the global market, the Gallery plays indeed a key role inpresenting some of the most promising Asian artists, who have transformed the contemporary artistic scene by combining their fascinating historical and cultural traditions, their refined artistic techniques and social tendencies. A tireless search brings the Gallery to the continuous scouting of international artists by selecting them for their remarkable originality and technical skills. The result is a selection of both emerging and well-established talents who vibrantly enrich the contemporary art scene. Dorothy Circus Gallery perfectly embodies the visionary and revolutionary mood emerging from these seductive artistic tendencies. Thanks to its distinctive premises, the gallery spreads one of its core concepts and goals: to arouse vibrant emotions and to offer an introspective journey for each spectator. Keeping in line with the gallery’s long fascination and engagement in the celebration of female icons in the art world and in their surreal realms, the group exhibition curated for District 13 features original artworks by female street artists Hyuro and Andrea Wan. These will be shown together with street artistsRon English and Eduardo Kobra, Japanese artist Kazuki Takamatsu, and leading Pop Surrealist artist Marion Peck. The show is designed to raise the attention of the public to the role of femininity in art, with a particular focus on the social interpretations of maternity and women’s strength and resilience. The exhibition displays intimate and emotional artworks that speak to our too-often-forgotten human sensibility, and aim to transport the visitors back the to their primordial memories. Transcending the limits of space and time, we embark on a journey to discover a renovated perspective through the eyes of women, mothers and the world of our inner child.